NYC Swim Lessons - Imagine Swimming NYC - Premier learn to swim school. 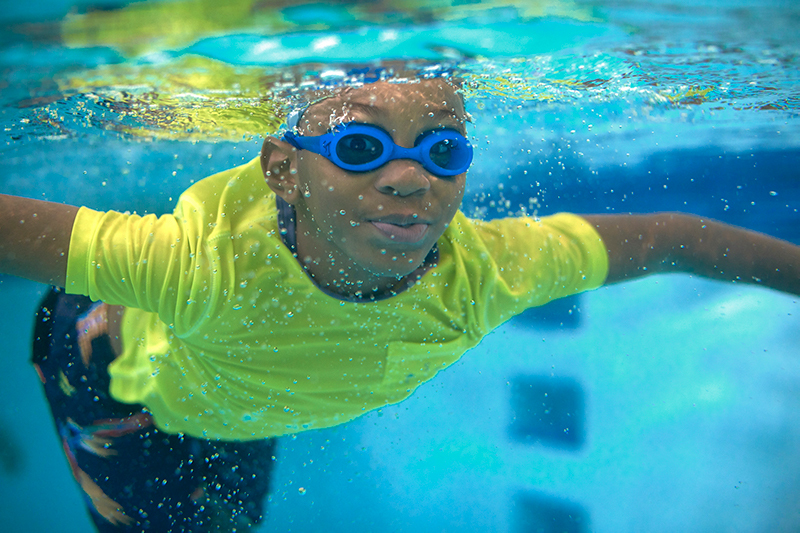 Imagine Swimming lessons are tailored to fit your child's individual needs. Regardless of age or ability, we strive to find the right class that best facilitates safe fun and joyful, natural learning. Click on the list below to find out more about our programs. 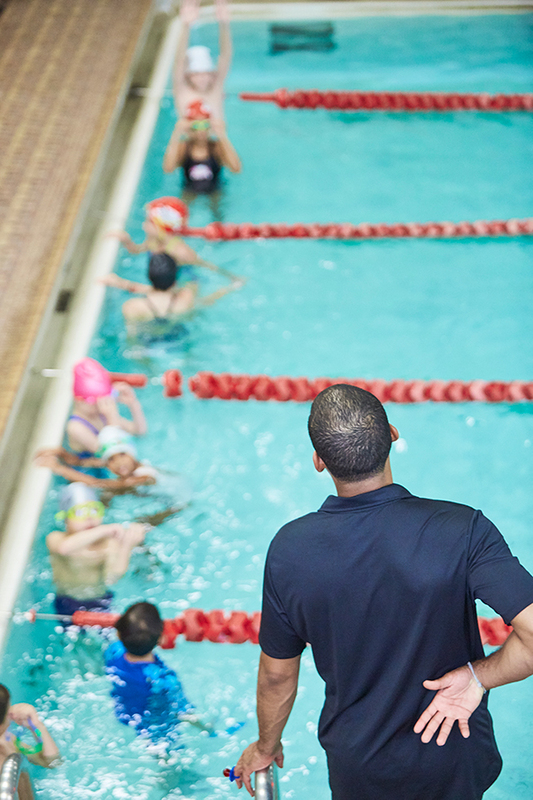 At Imagine, you will not find rigid levels and checklist teaching, but rather lessons that are constantly adapted and structured around the fluid development of every young swimmer. We strive for 40 "active" minutes. In too many programs, children are sitting on the sidelines for large portions of lessons, regardless of the activity. The "Classic" Imagine class has a 1:4 teacher/student ratio. We believe this class size provides the highest quality atmosphere for both skill development and social interaction. At Imagine, there are never more than four children in a group class. $48 per class. All scheduled lessons billed monthly. Imagine's Parent & Me program begins at 4-months and continues until children turn three. Within this time period, parents are present in the water, guiding children into the aquatic world. Teaching basic water comfort and instinctual safety forms the core of these early lessons. Our Parent & Me classes are also musically-themed, as we introduce the rhythm and timing of basic movements in the water. These lessons take place at our TriBeCa Flagship pool (4 months - 36 months). Like our regular lessons, these classes are $48 per class. 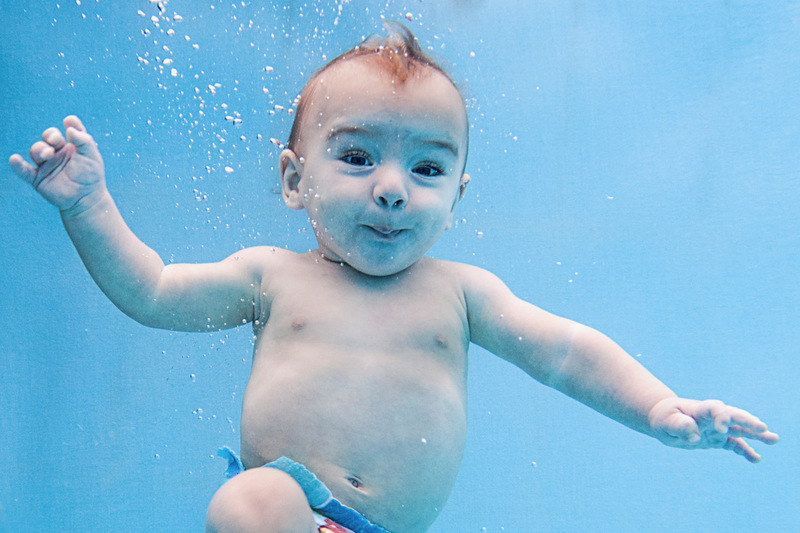 For infants ages 8 weeks to 4 months, we offer Baby Splash classes, tuition free. This program is designed to orient parents and infants to the water together, in a soothing, low-pressure environment. Early, consistent exposure to the water can significantly speed up a little swimmer's learning curve. 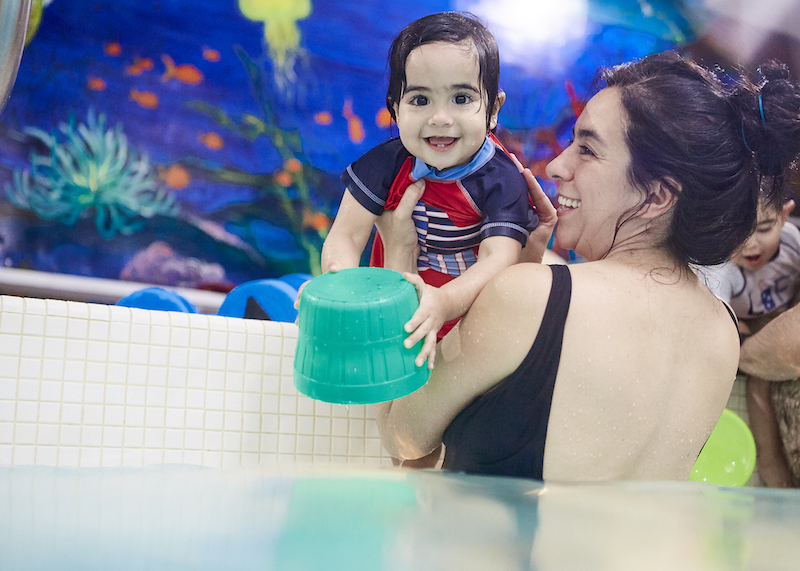 Studies show that early infant swimming lessons offer many other benefits as well, including accelerated brain development, early socialization, and improved motor coordination. $20, includes one swim diaper, one Happy Nappy diaper cover, and a copy of the book Baby Swim, A Lifelong Adventure. Imagine's 'Intensive Lessons' are 60-minute classes offered on holidays and school breaks, making them an excellent opportunity to keep your child active on days off from school. 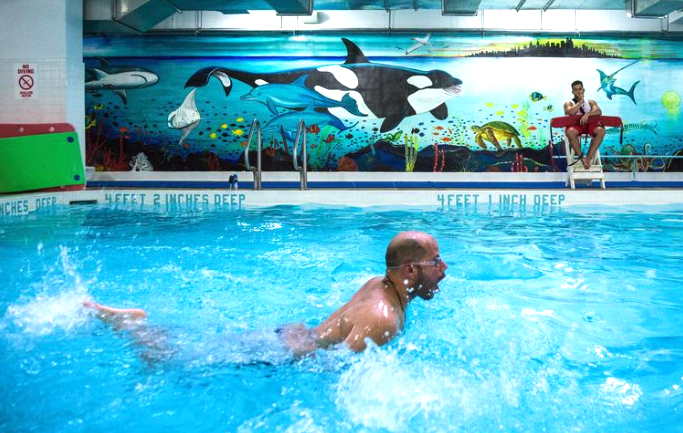 Similar to our regular lessons, but super-sized to an hour, our goal is to enhance every swimmers' comfort and ability in the water while also offering unique challenges, such as 'a clothed swim', meant to simulate scenarios where a child falls into the water while dressed. Once younger, less experienced children gain the trust and confidence to work with our instructors, more technical skills are introduced, with a focus on breath control, body position, and propulsion in the water. For children who already have a solid swimming foundation, technique and endurance is also a theme of intensive classes. Where: Bowling Green location at Léman Prep at 25 Greenwich St. & TriBeCa Flagship at 40 Harrison St. in downtown Manhattan. Saturday, May 25th - Monday, May 27th; TriBeCa only. Monday, May 27th at Bowling Green. Duration: One-hour lessons held at 9:00am, 10:00am, 11:00am, 12:00pm and 1:00pm at Bowling Green. TriBeCa Flagship lessons throughout the weekend will be held at 9:00am, 10:00am, and 11:00am. Who: Children ages 3+ of all ability levels at Bowling Green. Less experienced children ages 3 - 6 at TriBeCa Flagship. Rates: $74 per child, per class at Bowling Green. $71 per class for every child after the initial child is enrolled. The initial child's tuition remains $74 per class. $222 per child at TriBeCa Flagship (3-day session). $213 per session for every child after the initial child is enrolled. The initial child's tuition remains $222 per week. When: These sessions will be held Monday - Friday during the following weeks unless otherwise noted. Duration: One-hour lessons held at 9:00am, 10:00am, 11:00am, 12:00pm and 1:00pm. Who: Less experienced children ages 3 - 6 at TriBeCa Flagship. Children ages 3+ of all ability levels at Bowling Green. Rates: Five Day Week - $370 for one child | $350 for each child thereafter. Three Day Week - $222 for one child | $213 for each child thereafter. Imagine Swimming's Aquatics Camp shares the joy of swimming with every child. Stroke technique is refined, friendships are forged, and the underwater world is explored! Where: Bowling Green location at 25 Greenwich St. in downtown Manhattan. Duration: The half-day camp will run from 9:00am - 12:15pm each day with check-in beginning at 8:40am and pick-up starting at 12:30pm. Who: Your child must be at least 6 years old and will be grouped according to age and ability. Our prerequisites include being able to swim at all four strokes, perform dives and complete consecutive laps. Class Ratio: There will be no more than 8 students per instructor. Our summer clinics strive to provide an education in specialized disciplines within the swimming world while promoting a team-like atmosphere. Opportunities are endless once a child is able to swim and the clinics detailed below provide swimmers the opportunity to pursue alternative aquatic activities. Where: TriBeCa BMCC at 77 Harrison St.
Where: Gramercy Pool at 425 East 25th St. The SQUAD program is geared toward swimmers ages 10-18 interested in practicing a few days a week, but who may not be interested in the full immersion of being on the swim team. The goal of the SQUAD program is to continue refining strokes, increasing endurance, and on general fitness in the water - in a fun pressure-free setting that is not focused on the destination of swim meets and racing. SQUAD is coached by Makos coaches! The minimum attendance is one practice a week of the 4 practices offered. In addition to promoting a healthy lifestyle, developing a love of the water is therapeutic, and evokes a sense of calm. Swimming is also a great way to achieve a full-body workout while reducing any physical stress on your bones, joints and muscles. Enjoyment of the water is a must for swimmers of all ages and body types, and particularly beneficial for people with arthritis. Imagine's adult swim lessons are customized, 45min private or semi-private weekly classes, structured around your specific needs - whether it's getting over fundamental fears of the water or fine-tuning your strokes for competition. Classes are $135 per private session or $95 for semi-private instruction. Please tell us a bit more about yourself by taking a brief moment to fill out our Pre-Class Questionnaire. We are pleased to announce a collaboration between Imagine Swimming and award winning underwater photographer Giordano Cipriani, to forever capture magical moments of your child in the water! Born in Rome, Giordano started following in the footsteps of his father, a professional underwater photographer and Champion of the World of Underwater Photography. After becoming respected in his own right as an underwater photographer, Giordano moved on to the land and began working as a travel and reportage photographer. Giordano continues to work within different photographic contexts, from travel and reportage in some of the worlds furthest corners to fashion and fine art, and continuing to experiment and make underwater personal work. Thanks to his skill in photography has won many national and international awards and has exhibited around the world, from Los Angeles to Tokyo and was expose at the “Smithsonian National Museum of Natural History” (Washington DC). He won, also, the prestigious “Plongeur d’Or” at the Festival Mondial de l’Image Sous-Marine. 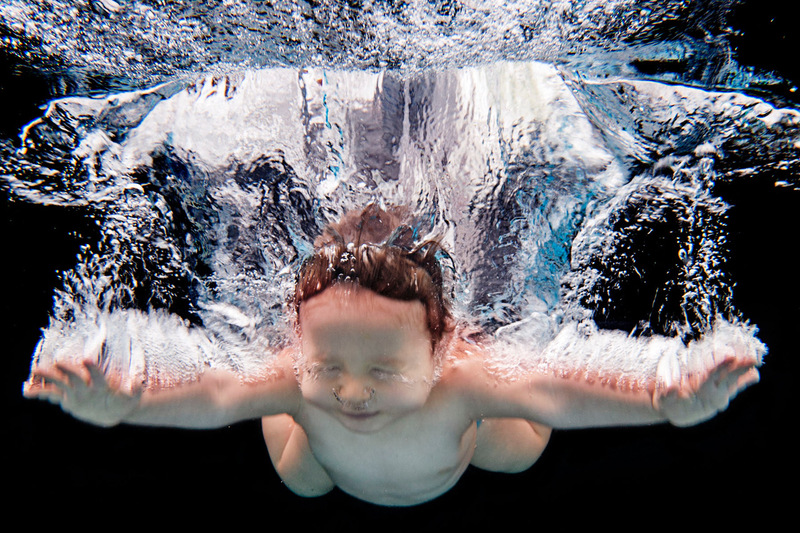 In Italy, Giordano found inspiration in underwater baby photography with his magical, playful portraits of children under water. Book an underwater photography session with Giordano today! Date: April and May sessions only. Package 1: $200 for one child and up to 2 parents/adult family members. Includes 4 digital images included per child, at web resolution (1800x1200, 72bpi). Package 2: $600 for 3 or more children and up to 2 parents/adult family members. Includes 12 digital images included for 3 or more children from the same family. Participants must sign a Model Release allowing use of photographs for promotional purposes; this requirement will be waived for a fee of $100. One parent must be in the water to help with the child; however, does not need to be in the photo. Two backgrounds available: black background & natural water background. Email annabel@imagineswimming. com with your preferred date and background color. We will contact you to confirm your appointment time. Weekend Family Swim hours are limited to families currently enrolled in Imagine Swimming lessons, as well as Independence Plaza residents. Children & families enrolled in lessons swim at no cost. Independence Plaza Residents, $20 per visit, or $84 per month for unlimited Lap & Family Swim membership. Family Swim - Available Saturday - Sunday: 6:30P.M.-9:30P.M. *Last entry 8:30P.M. Lap Swim - Available Monday - Friday: 12:30P.M.-2:30P.M. and 6:30-8:30P.M. Saturday - Sunday: 7:30A.M.-8:30A.M.